You've traveled to island destinations together, grooved at concerts and made a house a home - so this Valentine's Day, show your loved one how much you appreciate their fun-loving and romantic spirit with a delicious and refreshing frozen cocktail. Whether made with champagne or hibiscus, a specially made frozen concoction will put a smile on their face and remind them of all adventures you've shared in the past - and all those still to come. The recipes below are guaranteed to get those bubbly and fizzy feelings going, just like the butterflies you had on the day you and your sweetheart met. But don't feel constricted to making these cocktails a couples-only celebration - they're also great for serving up at a V-Day party with your friends. This frozen cocktail is the perfect mix of sweet and sassy - just like your partner. Hibiscus syrup is a key component of this drink, and only takes a few minutes to whip up on the stovetop. It's a good idea to make a large batch of the syrup because it's also delicious on ice cream - perfect for a scrumptious Valentine's Day dessert. To make the hibiscus syrup, add the dried flowers and water to a saucepan. Bring to a boil, then remove from heat and let flowers steep for 4-5 minutes. Remove dried flowers from the water, then stir in the sugar until dissolved. Let cool slightly. Add ice to the ice reservoir of your Margaritaville® Frozen Concoction Maker®, then add the syrup as well as the remaining ingredients to the glass jar and mix. Dip margarita glasses in water, then in salt to prepare rims. Pour frozen margarita into glasses and garnish with lime wedges before serving. 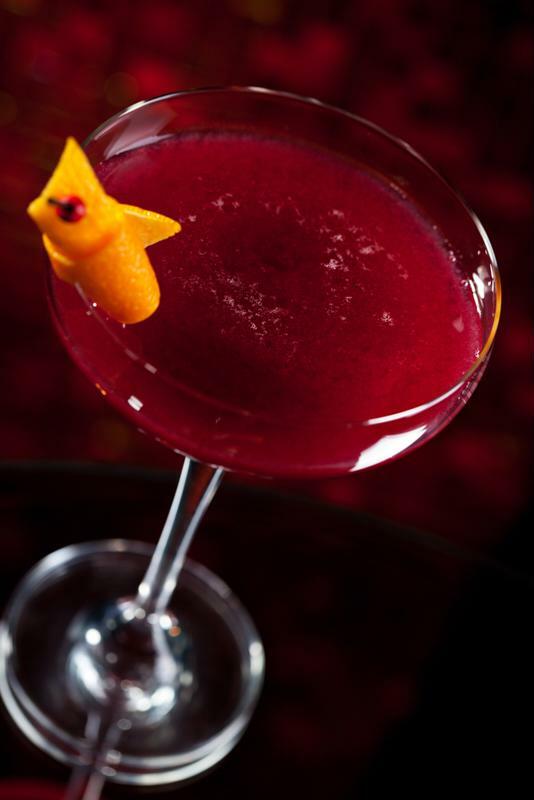 Treat your sweetheart to a Berry-in-Love Cosmo. You're berry in love with your Valentine's Day date, so make them this tasty cocktail. Alright, so your puns may not be smooth - but this cosmo sure is! Add ice to the ice reservoir and all remaining ingredients to your Margaritaville® Frozen Concoction Maker® glass jar and mix. Dip cocktail glasses in water, then in sugar to prepare rims, then pour in cosmo and serve. Love is tender - so celebrate it with this classed-up gin and tonic, infused with delicate rose water and fresh raspberries. Add ice to the ice reservoir and all remaining ingredients to your Margaritaville® Frozen Concoction Maker® glass jar and mix. Dip tumblers in water, then in sugar to prepare rims, then pour in the frozen concoction and serve. Champagne and a margarita all in one? You really can have it all! Pop the bubbly on Valentine's Day the Margaritaville® way with this festive concoction and get the party started. Add ice to the ice reservoir and all remaining ingredients to your Margaritaville® Frozen Concoction Maker® glass jar and mix. Dip margarita glasses in water, then in sugar to prepare rims. Pour frozen margarita into glasses and garnish with lime wedges before serving. 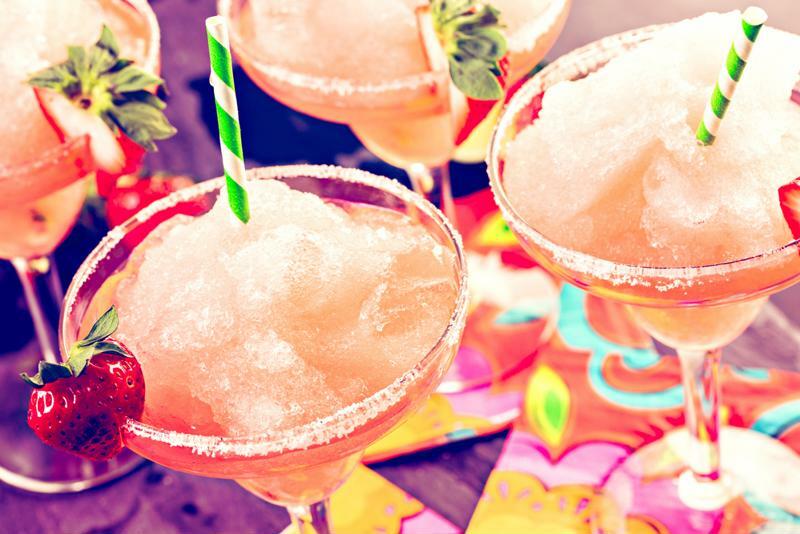 Celebrate the special occasion with sparkling Champagne Margaritas. Chocolate-covered strawberries are a go-to gift on Valentine's Day - but they're also delightful in drink form. Add ice to the ice reservoir and all remaining ingredients to your Margaritaville® Frozen Concoction Maker® glass jar. Mix and pour into tall glasses. Garnish with a drizzle of chocolate syrup and a fresh strawberry before serving.